Springs Beauty 10th year anniversary celebrations were launched with a stunning grand opening. The showpiece event was designed to showcase the new look Springs Beauty salon and introduce a stunning new addition to the Harwood salon. Hair 151 were unveiled to excited guests at the charity event held annually to raise funds for The Christie charity and Bolton Hospice. 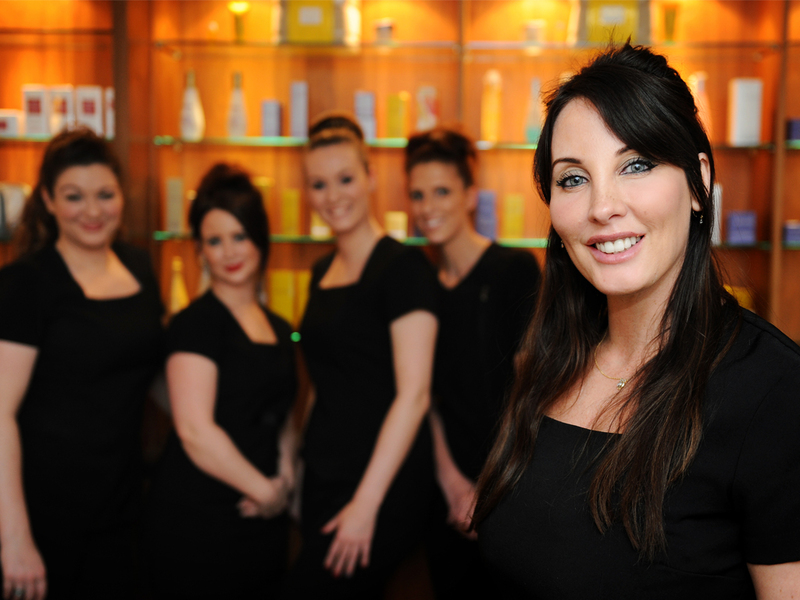 Springs Beauty is ten years young this year and is delighted to announce a further 10 year extension to the lease - that ensures our clients will continue to receive the very best in beauty care from our talented team. The anniversary provided the perfect excuse for a make-over of our own and having worked tirelessly to transform the salon we were delighted to showcase the grand unveil at our charity night. 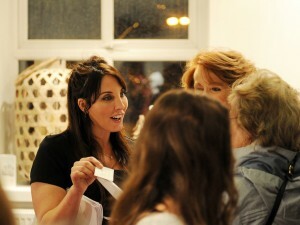 Springs Beauty owner Andrea Scholes, said: "It was a fabulous night and the reaction to the new look salon was amazing. "We work so hard to ensure that our clients receive the very care and attention and strive to ensure we stay ahead of the game in terms of providing cutting edge treatments using only the leading products. "We have considered introducing hair to the salon previously but needed to wait for the right partnership and that is Hair 151. "Springs Beauty clients will recognise the new look Hair 151 team as Andrea Long and her daughter Danielle, regarded as one of Manchester's top stylists, have established the salon on the ground floor at Springs. "We have totally transformed the building, creating a stunning new look relaxation area with a much larger retail section and an incredible new nail bar. "Our therapy rooms have had a complete transformation and on the ground floor Andrea and Danielle have created a beautiful new space which is super stylish and very classy, perfectly in keeping with the image I have strived to create." 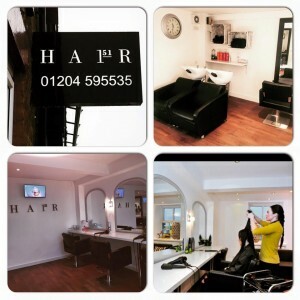 Springs Beauty's annual Christmas fund raiser is always a popular event and whilst some of the salon's clients knew the salon was undergoing a transformation the introduction of Hair 151 was a secret. The smiles on everyones faces tell their own story - as you can see below - but if you couldn't make it to the Open Evening make sure you drop by to see the transformation. As w ell as the new look salon Springs has introduced a brand new website and a state of the art online booking system - allowing clients to book treatments whenever, wherever they like. The booking system can be accessed via the website, via Facebook and can even sit on your smartphone or tablet as a stand alone app, providing direct access to your favourite beauty salon at all times. "It was a fairly hectic build up to Christmas with the renovations, the website and all the hard work but we had some fantastic help from a great team and the results prove beyond any doubt it was worth it," Andrea added. "We plan to celebrate our 10th year anniversary in style and will introduce lots of special offers and events to say thank you to our wonderfully loyal clients and look ahead to even better next decade." Springs Beauty announced three exciting new partnership ahead of the relaunch as they welcome LA LA Lashes, LVL Lashes and DermaQuest to the salon. DermaQuest is an amazing treatment designed to combat age management, age prevention, pigmentation and acne management and are designed to cleanse, nourish and protect your skin for sustainable results. It uses strong vitamins glycolic, salicylic and lactic acid, peptides, retinols and stem cells. LA LA Lashes are semi-permanent individual eyelash extensions and THE choice of celebrities whilst LVL stands for Length, Volume, and Lift and is a stunning alternative to eyelash extensions. Guests were introduced to the new treatments, offered samples and a glass or two of fizz and some fantastic cakes provided by The Cake Crew and the event was captured on camera by top photographer David Scholes. David is regarded as one of the regions top wedding, commercial and portrait photographers and we would recommend him most highly. Click here for his website. Individual treatments and courses are available and can be booked via the new online booking system or at the salon.